This is the exact hat you will receive! One of a kind! 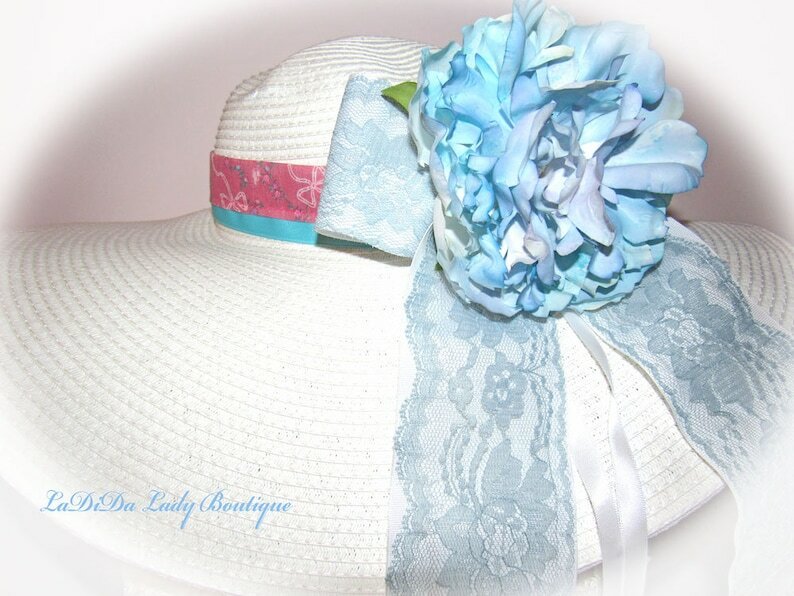 You may choose the pink/blue floral hat band or the white hat band. If you prefer, a hat band color may be changed. The lace bow cannot be changed. NEW ITEM IN MY SHOP AND IS DESIGNED AS ONE OF A KIND! 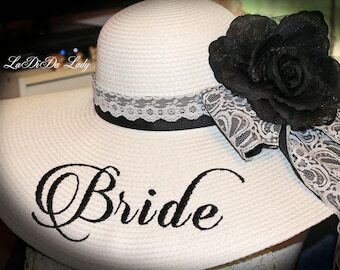 The bow shown is a 3 inch grosgrain ribbon with lace sewn on making a double layer. 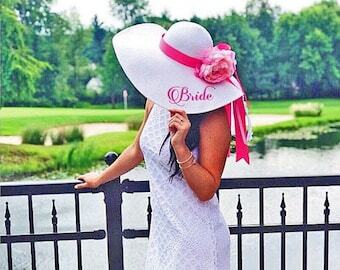 YOU MAY ALSO CHOOSE A SOLID HAT BAND IN ANOTHER COLOR. This flower has been hand painted by me!